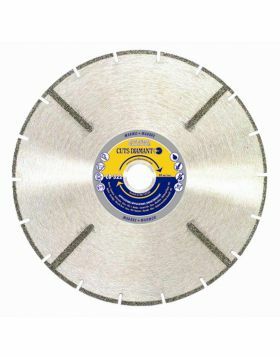 Diamond cutting blade and excellent multi-purpose grinder, thanks to the double diamond band of 25mm per side. 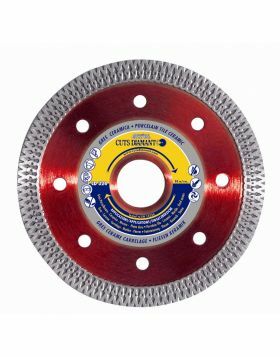 The CDP disc grinds, cuts and shapes, when necessary, even when cornering, any type of material from marble to porcelain stoneware up to 2cm thick, to granite, passing to the very latest generation materials such as Okite and Dekton. The holes on the steel allow a quick cooling of the tool and is supplied with the M14 flange which makes it particularly safe even for deep cuts. 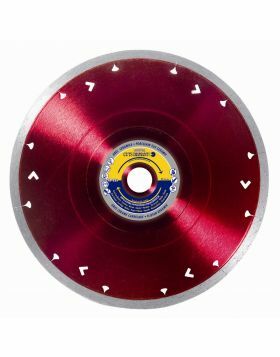 The CDP diamond tool is available in the 115mm and 125mm diameters and in the 50 grit for more aggressive applications and in the 80 one for more delicate jobs.